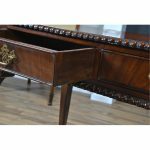 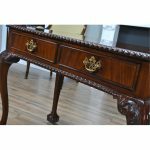 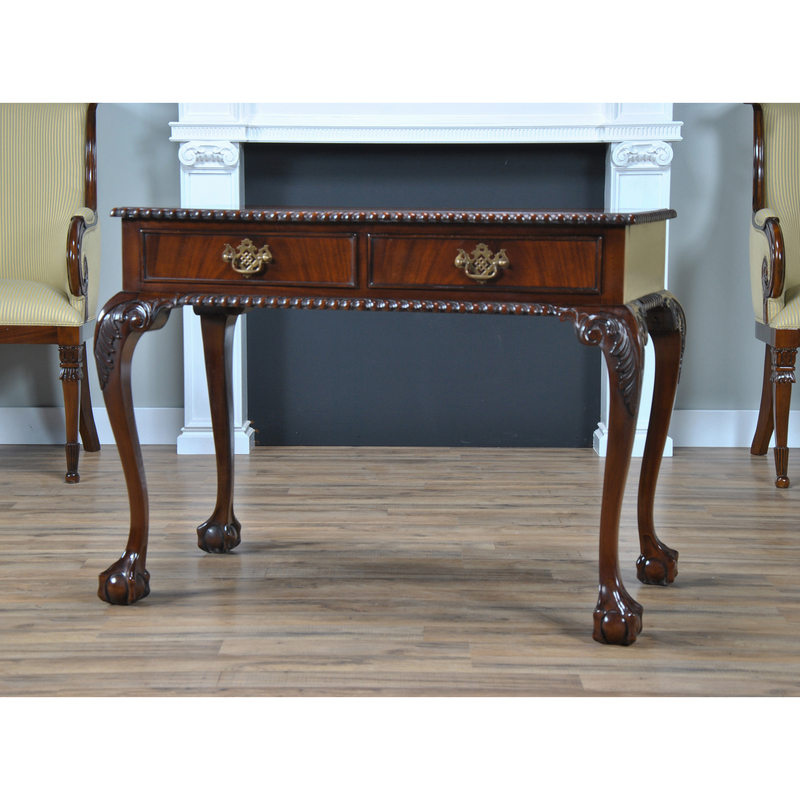 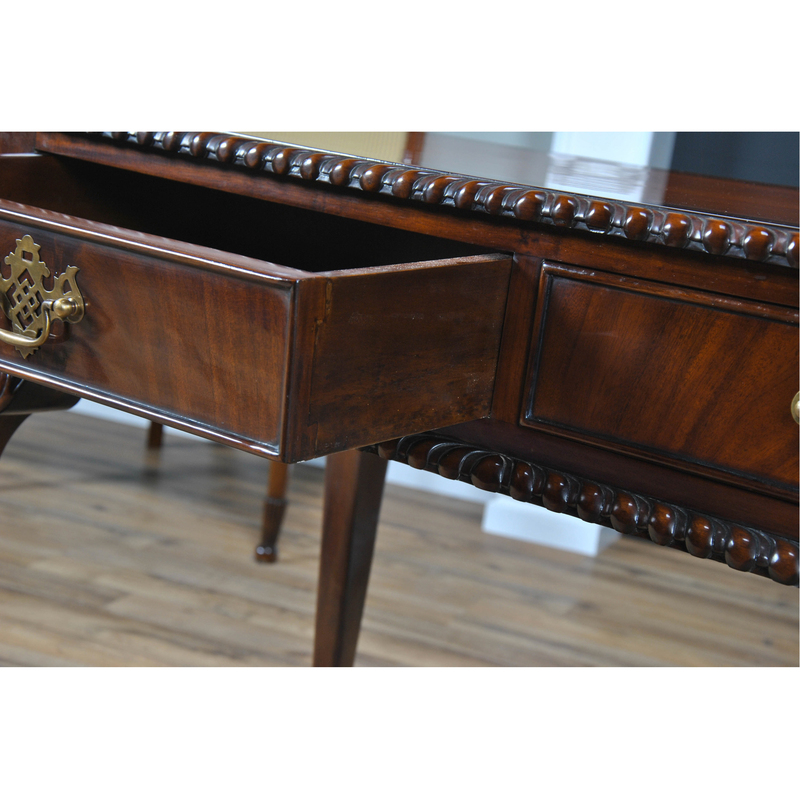 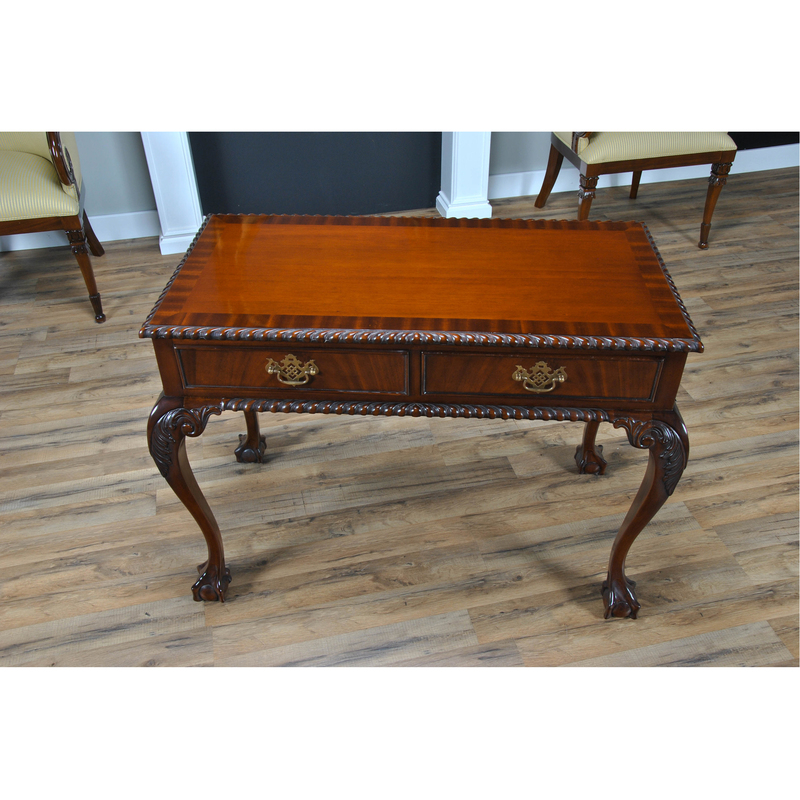 A Chippendale style Mahogany Two Drawer Console from Niagara Furniture. 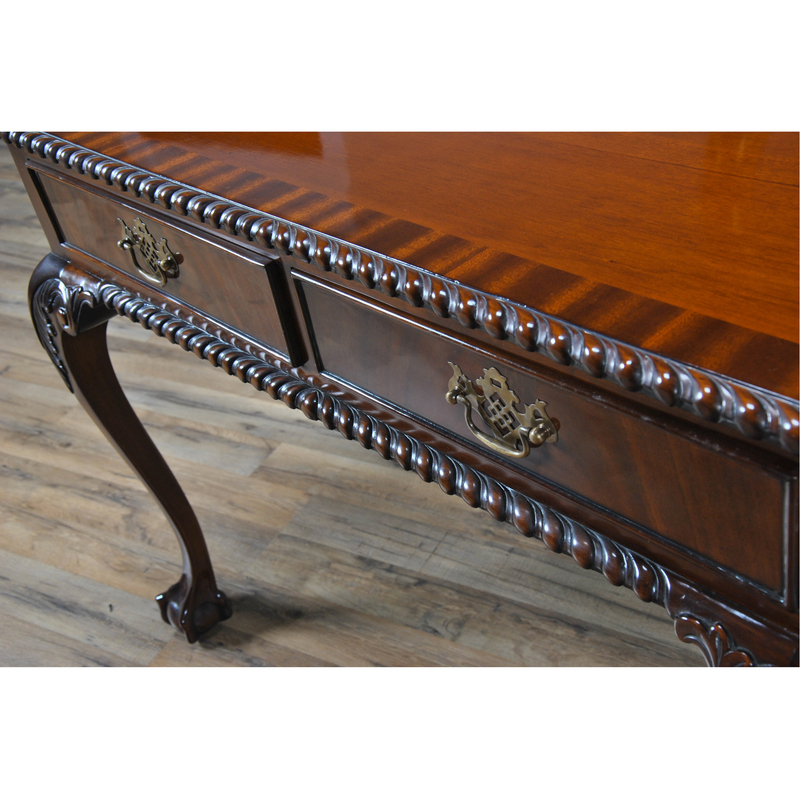 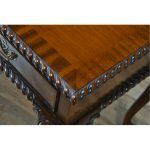 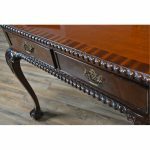 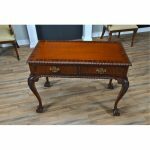 With a banded mahogany top, a gadrooned (rope edged) molding over top a frieze with two dovetailed drawers which feature solid brass pulls. 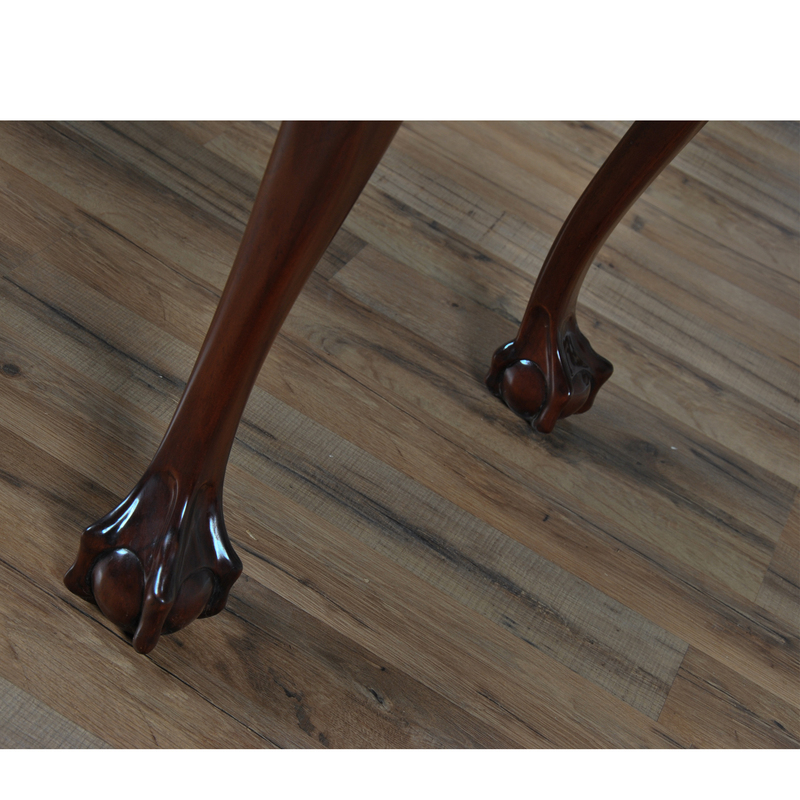 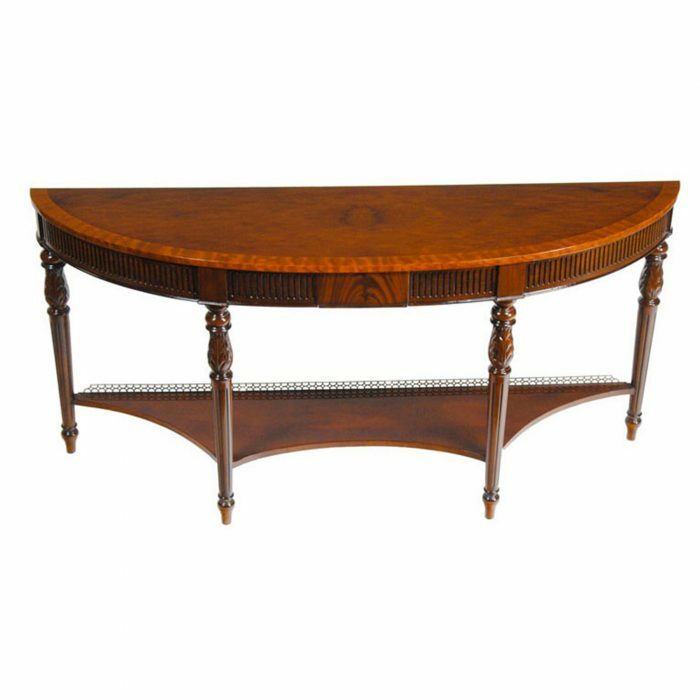 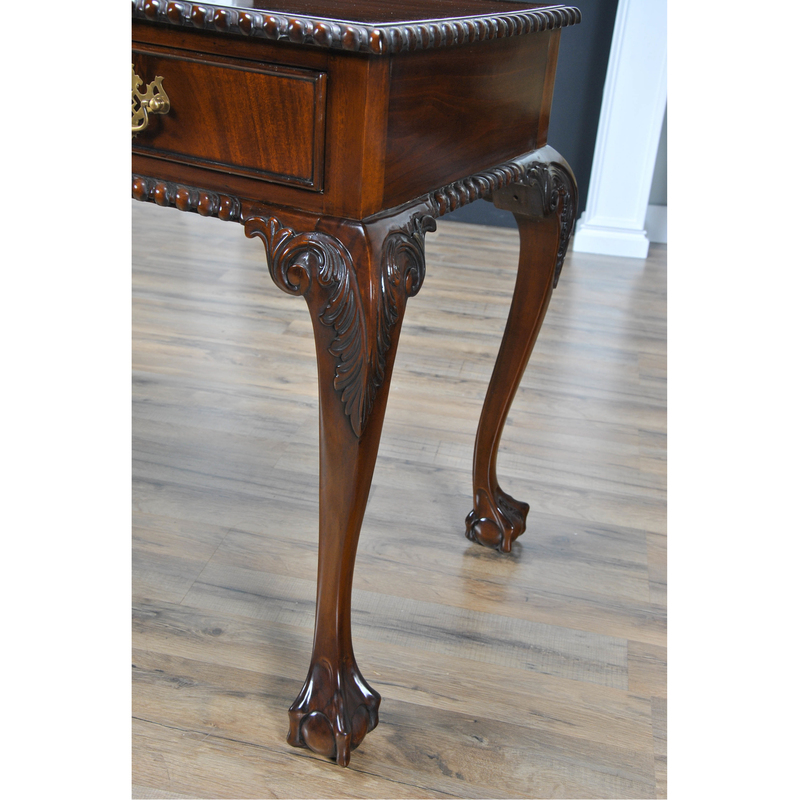 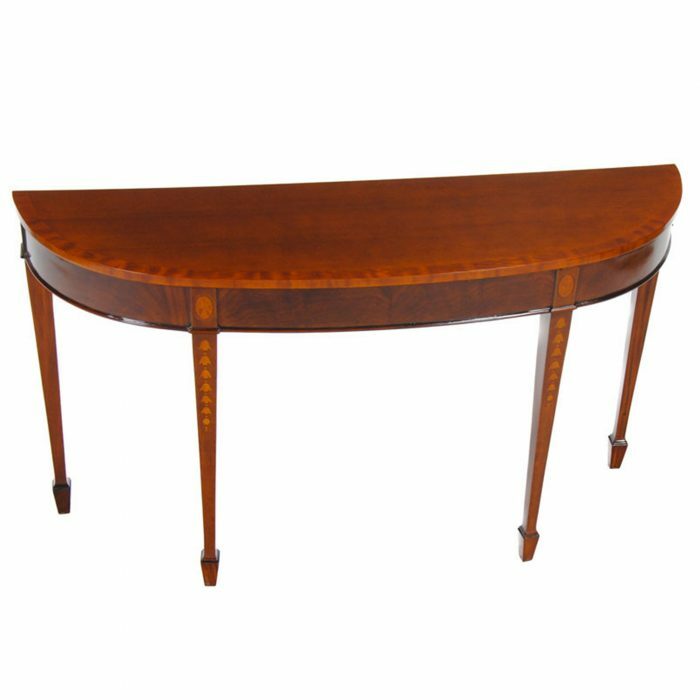 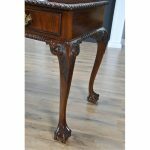 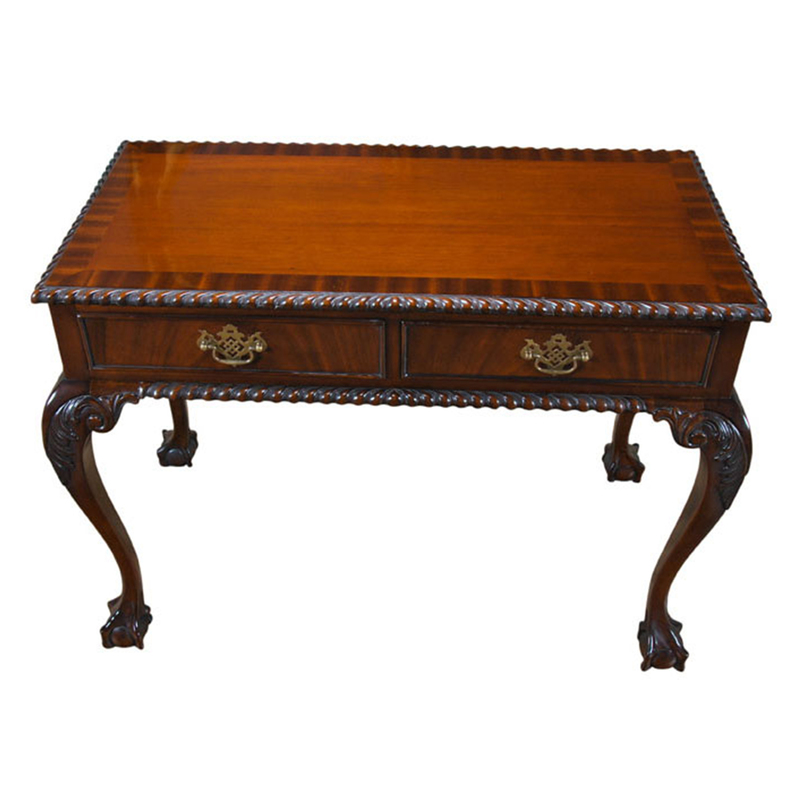 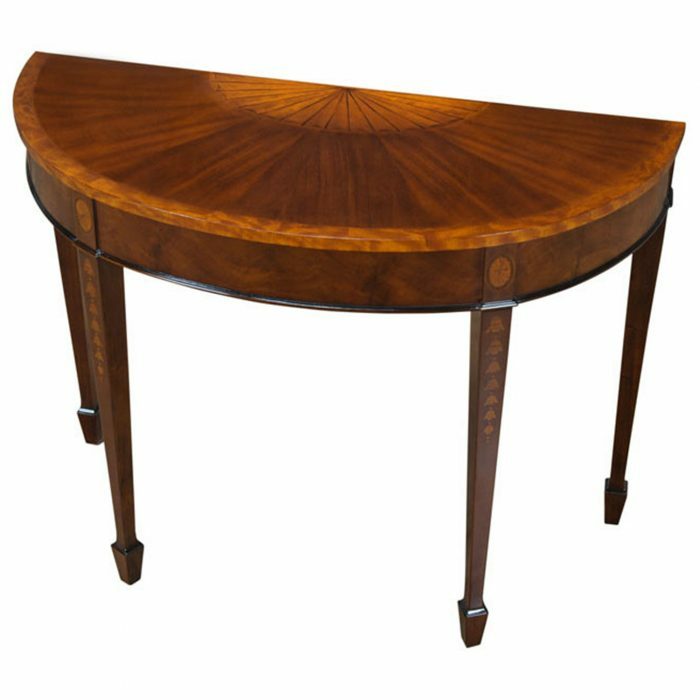 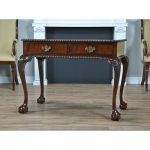 The cabriole legs of our Mahogany Two Drawer Console are acanthus carved at the knees while the feet are hand carved with a ball and claw design. Practical design lends itself for use in many settings through the home.